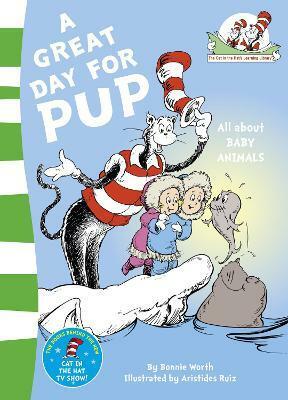 Join the Cat in the Hat as he introduces beginning readers to wild animal babies. This title and others form part of a series of books that takes an off-beat look at nature and natural sciences through a fun combination of Seussian rhymes and zany illustrations. Aimed at early readers - from four to seven year olds - the books are designed to bridge the gap between concept books written for preschoolers and more formal non fiction titles that require fluent reading skills. By presenting the facts in a lively and rhythmic manner, they provide the critical foundation upon which complex facts and ideas can eventually be built. There's No Place Like Space! Oh, The Things You Can Do That Are Good For You! Oh Say Can You Say Di-no-saur? Would you rather be a tadpole? A Whale of a Tale! Is a Camel a Mammal? Oh, the Pets You Can Get! Oh Say Can You Seed? With his unique combination of hilarious stories, zany pictures and riotous rhymes, Dr. Seuss has been delighting young children and helping them learn to read for over fifty years. Creator of the wonderfully anarchic Cat in the Hat, and ranked among the UK's top ten favourite children's authors, Dr. Seuss is a global bestseller, with over half a billion books sold worldwide.